Next month, Universal Music staff are will be taking part in both the Universal Music Ride and the 2018 London Marathon for inspiring causes and charities. 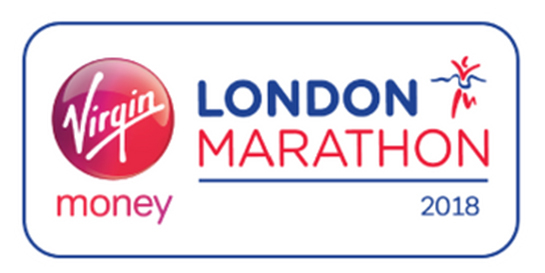 On May 22, the annual London Marathon returns and this year’s runners from Universal Music - Carolyn Agger, Kris Maher, Lee Jenson, Callum Galbraith, Serena Butterworth, Tony Fletcher, Tom Jones and Michael Pickard - have been training and fundraising for the big day. Tony Fletcher (pictured below), senior TV manager at Island, is taking part in this year’s marathon for Marie Curie. Tony lost his Dad to cancer last year and Marie Curie supported his family throughout their last couple of weeks together at the charity’s hospice in Liverpool. Marie Curie work to help families cope with terminal illness through their nurses, volunteers and at their hospices. Kris Maher, A&R manager at UMC, is running for Ambitious about Autism, a national charity for children and young people with autism. Kris has always wanted to raise awareness of mental health and has been volunteering for Dexter (a young boy on the spectrum) for the past five years. Ambitious about Autism provide services, raise awareness and campaign for change - studies show that the disability affects 1 in 100 people in the UK. Kris says, “Getting to know Dexter, seeing him grow up, spending time with him and helping his family has been an amazing experience and has made me want to help raise awareness and money for anyone who is on the spectrum. I have never run or attempted to run a marathon so this will be a big task for me!” As an extra incentive, Kris is growing his beard and not shaving until he has completed the race. Also from UMC, A&R co-ordinator Carolyn Agger is proud to be running for Rethink Mental Illness after being inspired by Mind Over Marathon, a BBC series that followed a group of 10 runners affected by mental health who competed in the 2017 London Marathon. Carolyn is aiming to raise £2000 for the charity, which work to change attitudes for millions through campaigning as well as supporting 60,000 people every year to get through crises and live independently. Lee Jenson, director of marketing at UMC, has always wanted the run the London Marathon and has decided to support MS-UK, a small national charity dedicated to empowering people affected by multiple sclerosis to make the most of today, and live life to the full. Lee is close to people who suffer from the condition and MS-UK provide support through professional services that include a national helpline, a wellness centre and counselling service. For Serena Butterworth, senior licensing co-ordinator at UMC, the marathon has always been something she’d like to take part in and so she is running this year for Alzheimer’s Society. The charity supports anyone affected by dementia and aim to keep those with dementia connected to the people who matter most in their lives. There are 850,000 people with dementia in the UK, with numbers set to rise to over 1m by 2025. Serena lost her grandmother to Alzheimer’s last month and so has a very personal connection to the charity through assisting and advising her family. Tom Jones, commercial partnerships assistant, has Cystic Fibrosis and is planning to raise £2500 for the Cystic Fibrosis Trust. The UK charity focusses on raising awareness of cystic fibrosis, whilst fighting to allow those with the condition to live a healthy, happy and non-limited life. Over 2.5m people in the UK carry the faulty gene that causes the disorder and Tom wants to prove that despite having it, he won’t let it restrict him from running the 26 miles. Michael Pickard, radio promotions manager at Virgin EMI, and his partner Sarah set themselves a challenge to complete the Great North Run, Liverpool Half Marathon, London Marathon and Mount Kilimanjaro climb. With two complete, they are now preparing for the London Marathon. The pair have already raised £1500 for the Cancer Research UK and £1434 for Macmillan and in memory of the two family members they both lost to cancer, they hope to raise £4000 in total. Macmillan support those with cancer and their families and Cancer Research UK aim to help beat cancer faster. Callum Galbraith (pictured above), communications manager, is running for Addaction, one of the UK’s largest charities directly tackling the stigma and perceptions around addiction and mental health problems, as well as providing hands on services for people and families in need. Callum decided to run the marathon as a personal challenge but also because of how the Addaction ethos connected to him.